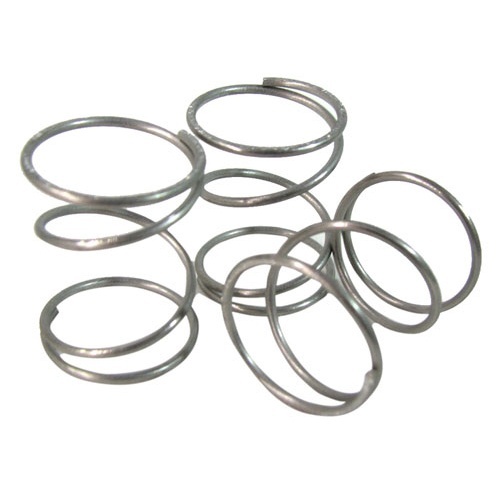 These steel compression springs are 3/4” long x 1/2” dia and made of 1/32” thick stock. Compressed right here in the US of A. 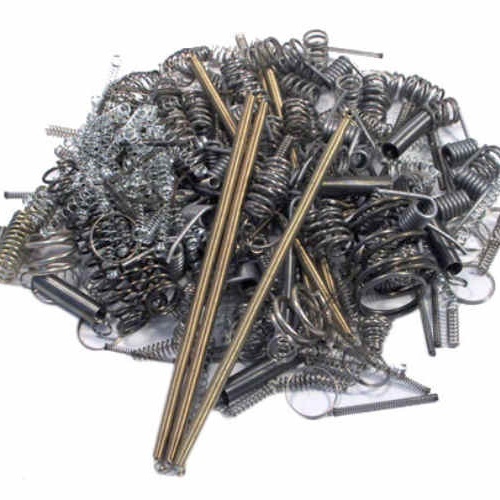 Easy to put a little spring in your step or anyplace else when you have this collection of (200) little zinc-plated steel springs. 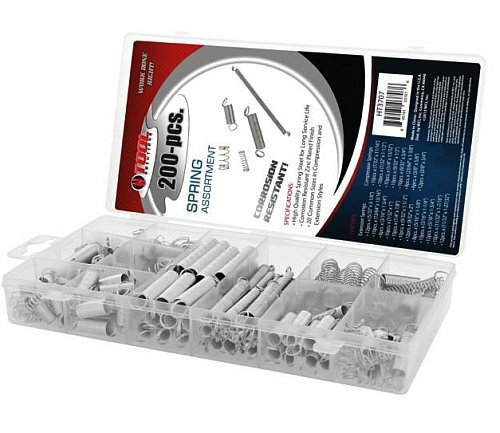 You get (20) sizes in all, including (76) compression springs in assorted sizes between 7/32" x 11/16" and 3/8" x 3/4" and (124) extension springs between 5/32" x 3-1/8" and 11/32" x 1-27/32". They come sorted, in a nice snap-shut and hang-up-able translucent plastic case. Big sack o' springs. 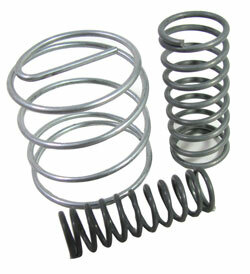 You get (10) springs, mostly compression but probably with a few extension springs thrown in for dessert. 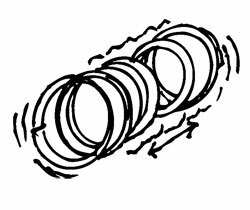 Great for art projects, kinetic sculpture or creating tension in any number of scenarios. In sizes ranging from 3/4" long x 1/2" dia up to 2-5/8" long x 1-7/8" dia. Is it spring? Well, it’s a spring. This steel extension spring is technically a “short throttle return spring” and measures 2-1/4" long x 7/16", but it will be just as happy returning anything else if your throttle is already back where it belongs. 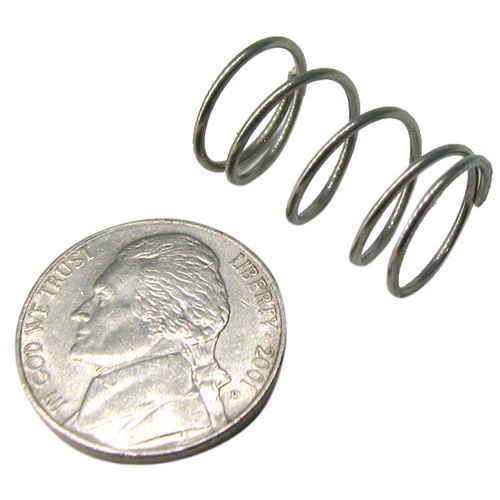 You could fit all of these springs in the palm of your hand, but they're still mighty handy. 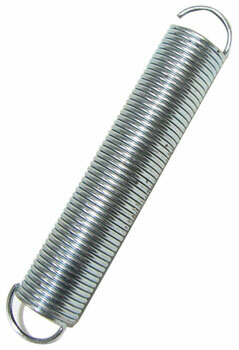 Steel extension springs, 1/2" long x 3/8" dia with 5/16" ID loops at each end. 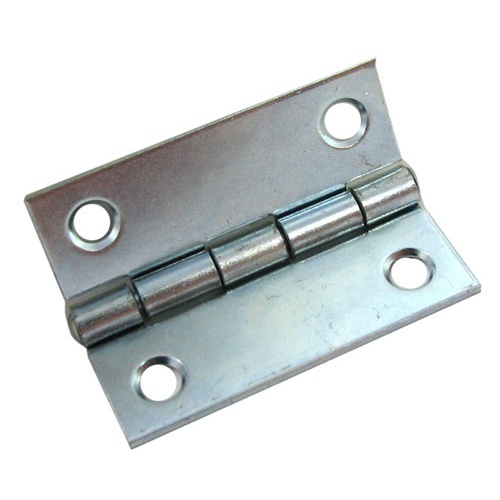 Your ordinary generic everyday plain old steel hinge measures 2" long x 1-1/2" wide when open with a 1/8" axle and mounting holes just a hair under 1/4". Comes with screws, as they will. Ordinary, yes, but necessary. 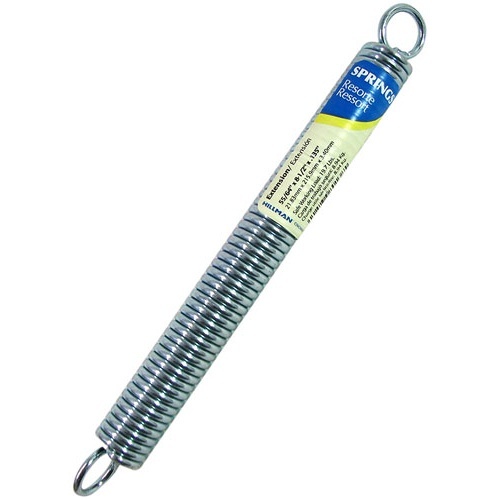 This small compression spring measures 1" dia x 1-1/8" tall and is made from 1/16" dia 316-type stainless steel, designed for marine or other aquatic applications. Go mount a bouncing turtle. 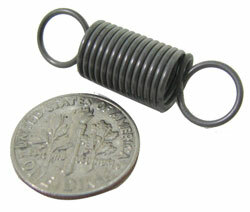 These plated steel extension springs measure 8-7/8" long (counting loops) x 7/8" dia x 1/8". Loops are approx 5/8" ID. Rated for just under a 20-lb working load. Good for screen doors and cabinets, and for hanging things that you like to see bounce in the wind. 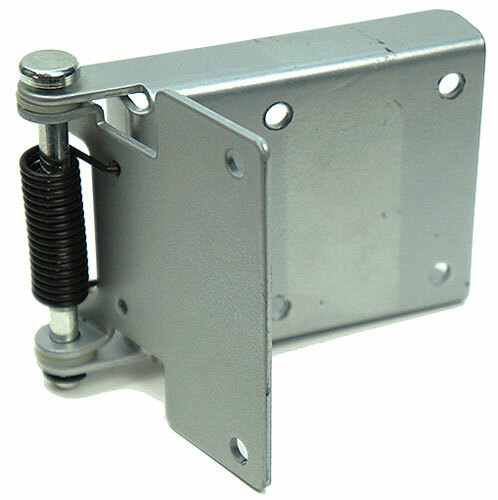 These 2-1/2" wide spring-loaded steel hinges have a 3-3/4" long plate with (4) 3/16” mounting holes and another 2” long plate with (2) 3/16” mounting holes. Open to approx 300 degrees. The spring keeps them in the open position and we believe they were made for luggage compartment doors on a plane or train (sorry, not an automobile). Yes, you could remove the springs. 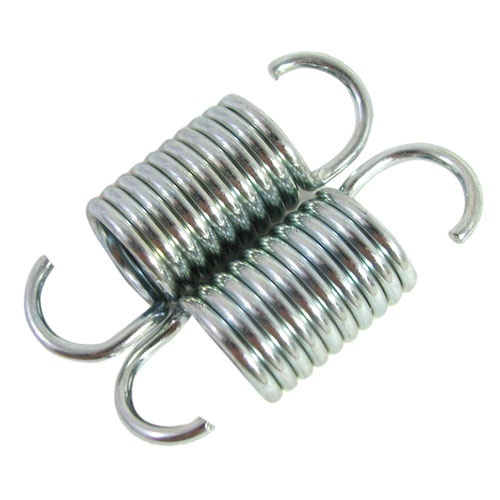 You get a pack of (2) plated steel extension springs, 1" long x 3/4" dia, made from 7/64" stock. Open 9/16" loops at each end. Rated for loads up to 10-1/2 lbs, which means they're perfect for DIY scales and exercise contraptions, keeping heavy doors and gates shut, and hammocks for lap dogs.